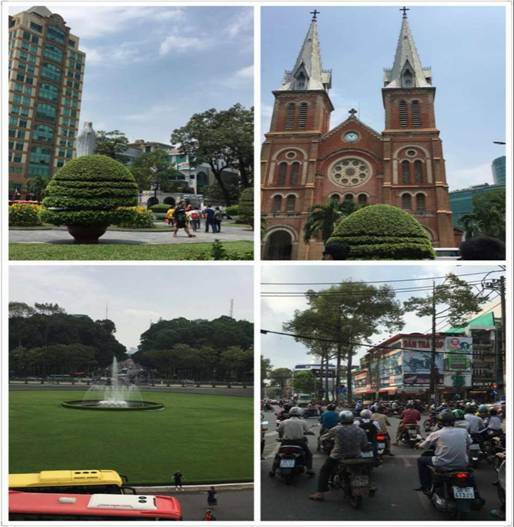 In May 16th, our clients have successfully arrived in the beautiful plain of the Southern small country ¨C Vietnam. Vietnam is a new socialist country which has only been unified for 40 years since 1976. The population is ranked thirteenth in the world, and the level of economic development is equivalent to the social situation of China in the early 80s. At the same time, Vietnam is a big tourism country, the development of food processing industry and per capita consumption have shown the need for a large number of imported food ingredients. Based on the above two points more and more Chinese food ingredients additives enterprises began to pay attention to and put into human resources and financial resources to enter the Vietnamese food production market. The first day on Vietnam￡?we felt the country full of challenges and opportunities. Through three days of exhibition, we see exhibitors from 17 countries and regions, nearly 100 enterprises participating. They are mainly from the Vietnam, China, India, Thailand, Singapore, the United States, Italy, Germany, Britain, Denmark, the Netherlands, Switzerland and other, including 31 Chinese enterprises, the exhibition also attracted from Vietnam and neighboring countries to 5000 visitors come to visit and purchase. Vietnam Ingredients Exhibition although modest, but Ding Xin Pavilion like family of college players generally reflect the exhibition of professional audience or in comparison to their counterparts, in communication with the group. 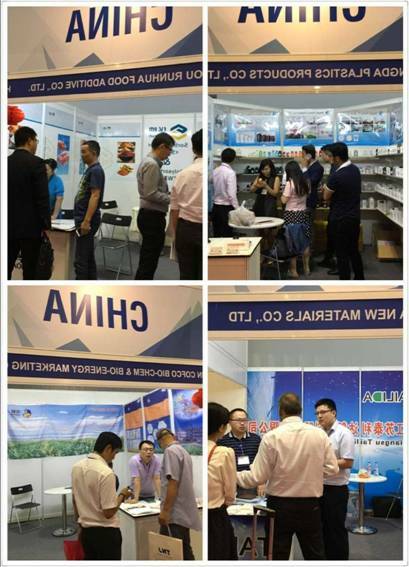 We are a professional Vietnam Ingredients Exhibition Pavilion offered the largest number of. 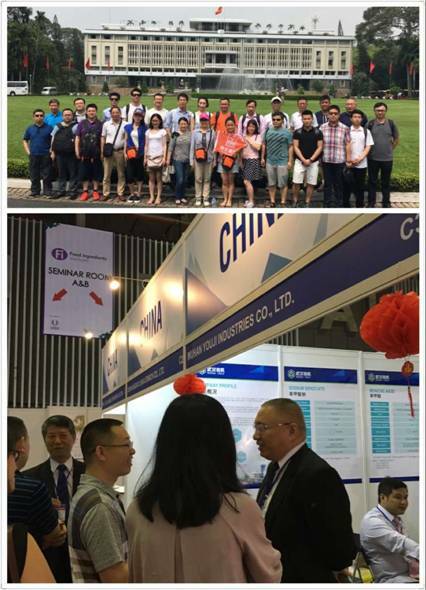 Ding Xin has been trying to do best for participating enterprises in foreign exhibitors can enjoy warm like family, we pay more attention to detail of the service. Until now, I still remember, Our client Mr.Xu always praise the service quality of Ding Xin with others make me feel pride. Clients`s Satisfaction is our greatest pursuit! As time goes by, three day is end, but we have the full harvest in communicate with other business enterprises . Looking forward to 2017, hope for new cooperation in Vietnam ingredients exhibition! See you again next year.